Performing throughout California's Central Coast, musician Ken Constable is the area's most referred guitarist. 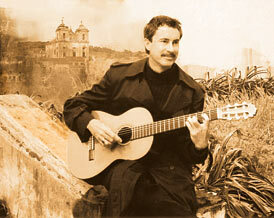 Playing classical guitar music for weddings, private/corporate parties, and special events, Ken's talents have earned him praise and recommendations from clients in Santa Cruz, San Jose, Monterey, and beyond. His repertoire is immense, covering Classical, Spanish, Flamenco, Jazz, and popular music. Listen to sample music clips. Ken's acoustic guitar playing will provide unforgettable musical memories to complement your wedding ceremony, reception, or other very special event. To inquire about a performance ranging from ambient music to a full concert in Santa Cruz, San Jose, Monterey Bay, or anywhere in California's Central Coast region, please contact us at (831) 462-5896.